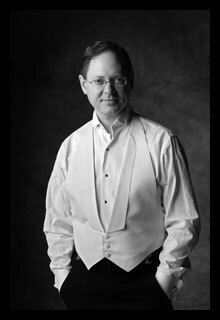 William Ransom is artistic director of the Emory Chamber Music Society of Atlanta, which presents the Cooke concert series. The first of the Cooke Noontime Concerts series is Friday, Sept. 18, in the Reception Hall of the Michael C. Carlos Museum. Beethoven's "First Cello Sonata" and his "First Piano Trio," compositions that show the composer at his most youthful, outgoing and happy, will be performed by cellist Guang Wang and violinist Jessica Wu of the Vega String Quartet with William Ransom at the piano. Ransom is artistic director of the Emory Chamber Music Society of Atlanta (ECMSA), which presents the Cooke concert series. This ECMSA concert is free and open to the Emory community and the public. However, contributions are encouraged towards the Rebecca Katz-Doft (00C, 03PH) Chamber Music Endowment to help keep a string quartet in residence at Emory and in Atlanta permanently. Friday, Oct. 23: William Fitzpatrick, violin and William Ransom, piano will perform sonatas by Edvard Grieg and Maurice Ravel. Friday, Nov. 13: Emory's best undergraduate talent perform. Friday, Dec. 11: Kate Ransom, violin, and William Ransom, piano, perform Cesar Franck's Sonata in A Major. The series continues through spring semester. All concerts are at noon in the Carlos Reception Hall.